Family production - The Snow White Variety Show, presented by Town Hall Theatre in Centerville February 15-17, 2019. All the fun of just about every TV-show genre you can imagine is jam-packed into this wild and fast-paced comedy! The seven dwarves tell the story of Snow White as the Fairytale Players bring it to life. As each new dwarf takes a turn telling part of Snow White's famous story in his or her own unique voice, the players' re-enactment shifts to match the style and personality of that particular dwarf. At any given moment, the story can be anything! It all culminates in a mad-dash ending of fast-changing genres that sets the record straight on Snow White's happily-ever-after. 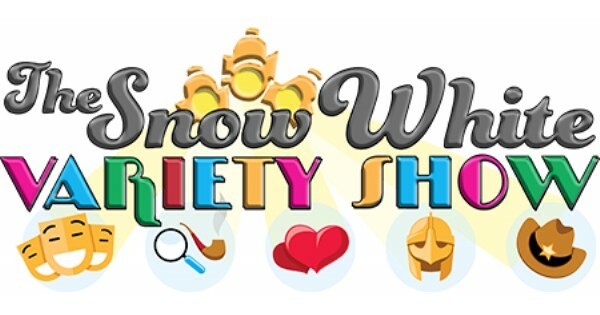 Find more events like "The Snow White Variety Show"